We are proud to announce that GWP Architecture have been appointed to transform the Aurora Wellbeing Centre in Worksop. 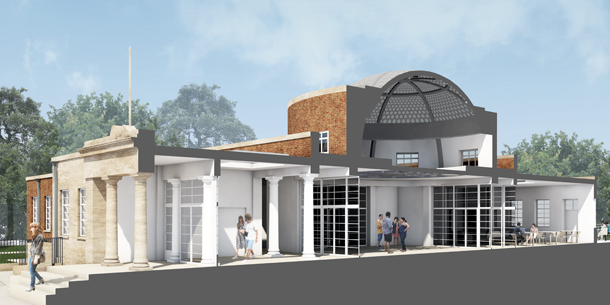 Works involve the refurbishment of the existing grade II listed Worksop Central Library and Museum into a multi purpose centre and the addition of an external terrace to the rear. The scheme is currently seeking heritage lottery funding has been submitted for planning and building regulation approval. The Aurora Wellbeing centres are a cancer charity that was set up 11 years ago and now run 5 centres that offer support and promote a healthy wellbeing and quality of life. We look forward to working with the Aurora Wellbeing Centres and the Heritage Lottery Fund on this rewarding project.